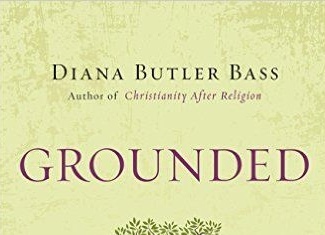 Having enjoyed the writings of Diana Butler Bass since the 1990s (when she wrote a religion column for the New York Times Syndicate), I eagerly anticipated her latest book, Grounded. The reader is immediately enticed by the poetic language of the first page. There, Bass describes the natural beauty of a monastery garden where she is sitting in the center of a labyrinth—“a walking path for prayer.” But upon turning the page, the reader is jolted into realizing that, although this contemplative space is in a garden, the garden and the monastery are located amidst the busy thoroughfare of everyday life. As Bass unfolds the story of how the monastery came to be where it is, you realize she is providing the perfect metaphor for what her book is about. 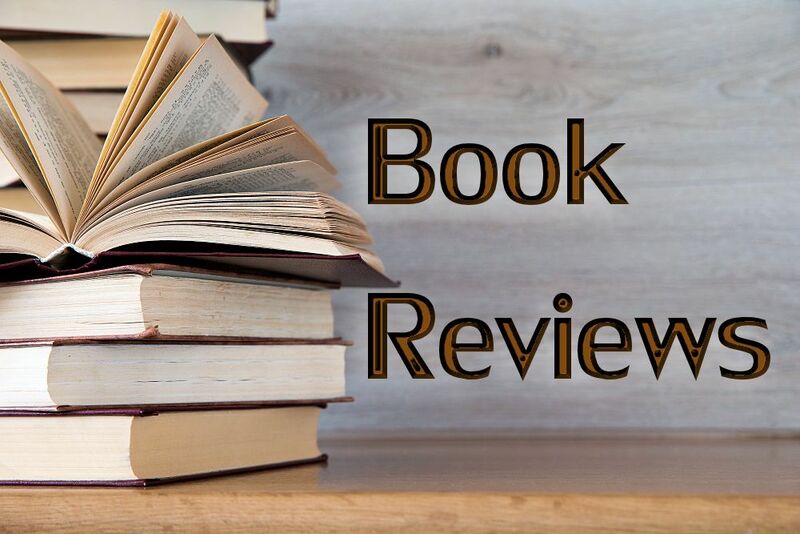 Grounded covers a vast amount of territory, and the book’s subtitle, “Finding God in the World—A Spiritual Revolution,” succinctly sums up her message. She’s not sure that readers always get the main point she wants to stress, however. “Subtitles of books are funny,” Bass remarked on her Twitter feed, shortly after the book’s publication. “People keep emphasizing ‘finding,’ ‘God,’ and ‘world’ . . . . But the real point is ‘Revolution” (Oct. 14, 2015 tweet). Yet, it’s those other words, “Finding God in the world,” that describe what the spiritual revolution is all about . And it’s a desire to make up one’s own mind rather than depending on religious authorities to tell us what to do and how to think— especially when many of them don’t even seem to understand today’s questions! “At the same moment when massive global institutions seem to rule the world, there is an equally strong countermovement among regular people to claim personal agency in our own lives,” writes Bass in Grounded (p. 21). And this carries over into what people are looking for in their spiritual lives as well. In an interview on Huffington Post Live (Nov. 4, 2015), Bass compared choice in our spiritual lives to the practice of downloading songs to form a personal musical playlist rather than settling for an album with songs pre-selected by someone else—although, of course, a ready-made album may also be our preference at times. The point is choice. What she has elsewhere termed “obligatory religion” will no longer work. Today’s young people especially want to make their own decisions. The “prophetic and creative vision” espoused by Bass involves meeting God through both nature and neighbor and experiencing God in “the life of the commons.” (Commons is Bass’s preferred word in describing communitas , which she sees as having a broader, more open and inviting sense than the way “community” is often understood). This vision includes a move away from a distant God-up-there—an observable “shift from a vertical God to God-with-us” (p.121)— and it includes a spiritual connection with each other as well. This shift also moves us away from the language and imagery of a three-tiered universe, once believed literally and still present in much religious language, music, and literature. Such an imagined universe consisted of “heaven above, where God lived; the world below, where we lived; and the underworld, where we feared we might go after death”(p. 4). The church, in this view, served as “a kind of holy elevator,” says Bass. Its purpose was to show us, through religious authorities and doctrines, how we could be lifted up to be with God in heaven. But that three-tiered universe image no longer works in today’s world, and the theological concerns and questions are different, too. Grounded is a timely book, springing from Bass’s assessment of a two-sided phenomenon that religious institutions are experiencing and researchers are documenting—today’s changing religious landscape. On one side of that landscape is what the Pew Research Center calls the “rapid growth of the religiously unaffiliated.” Why are increasing numbers of millennials (those born between 1981 and 1996, according to Pew’s definition), as well as many in other demographic groups, responding “none” when asked about their religious affiliation? Grounded is not a sociological treatise, although Bass draws upon carefully-researched data throughout. And it’s not a handwringing, woe-is-me lamentation about a secularized world’s abandonment of God and all that is good. Nor is it a book about how churches can change their programs and worship services to persuade young adults to come back to church. Rather, the book is a fresh view of change—not change equated with loss or decay (as the old hymn describes it), but something Bass sees as exciting and positive. A focus on change is not something new for Diana Butler Bass, PhD, who can be described in many ways—historian, independent scholar, public theologian, speaker, writer, and leader in progressive Christianity. Words and ideas associated with change, shifts, awakenings, transformation, and rethinking are found in all her books. You can see it, for example, in her unique way of helping us understand the history of Christianity in A People’s History of Christianity: The Other Side of the Story (2009). And you can likewise see this emphasis on change in one of her earliest books, Strength for the Journey: A Pilgrimage of Faith in Community, which presents her personal spiritual biography against the backdrop of “shifts and struggles” then taking place in mainline religion—and specifically in the Episcopal churches that she attended in different parts of the country between 1980 and the time she wrote the book (published in 2002). She described that book as telling “the story of intertwined journeys” (Strength p. 18)—her own story and the story of each congregation at the point in its history where the two stories intersected. In that book, she told of her questioning and growing discontentment with the evangelicalism she had previously embraced and the gradual process of changing her mind on various topics, including support for female ordination and the full inclusion of LGBT people, both of which she had earlier rejected as unbiblical. This “intertwining” of what is happening in her life and in the larger society is as characteristic of Bass’s writings as is her emphasis on change. She views her own experiences of God as being within the context of the world in which she lives, and not as something apart from it. Bass’s further reflections in Grounded add even more insight into the depth of her continued anguish. She tells of walking out of a church during a service marking the 10-year anniversary of 9/11 and its aftermath in the invasion of Iraq. She found the ultra-nationalistic sermon more than she could bear. “If the church cannot mourn the deaths of all people, Christians and Muslims and Jews, friends and enemies, fellow citizens and strangers, the guilty and the innocent, what good is religion?” she wondered. “Had we learned nothing about being human in the last ten years? All the blood spilled, the lives lost, the towns and villages laid waste” (Grounded, pp. 234-235). Bass tells readers of Grounded that she has had three conversions, “each time seeking a deeper awareness of God”(p. 277). The first was during her teenage years when she left the Methodist church that her parents attended and became an evangelical, “a form of faith that seemed empowering and meaningful” in 1975, but that she later found “more constraining “ than expected. The second was her departure from evangelicalism to embrace liberal Christianity in the form of the Episcopal Church during the 1990s. And the third conversion began with her new thinking about God-with-us the day after the attacks on the World Trade Center and the Pentagon in 2001. She says emphatically, “My third conversion was not about rejecting church (as the living expression of Jesus in the world), Christianity, or faith. Rather, my third conversion was about leaving behind the vertical God and elevator church.” She goes on to call this changed perspective “a personal spiritual revolution,” a conversion to the world around us that is “the dwelling place of the divine” (p. 278). In her Introduction to Grounded, Bass tells us that “this revolution rests upon a simple insight: God is the ground, the grounding, that which grounds us” (p.26). Her book is organized in two sections to show us how and where we can experience this grounding. The first section, “Natural Habitat,” focuses on nature or creation. This section contains three chapters, showing how God is with us in dirt (or soil), water, and sky. She explores each of these meeting places with God in detail, drawing upon the physical sciences, philosophy, scripture, history, wisdom from the world’s many religions, poetry and other forms of literature, along with other sources of insight. Her writing style is engaging and generously interspersed with examples from her own life and the lives of others, helping the reader to experience vicariously the awe, wonder, curiosity, and sense of worship she is describing. Bass also delves into global environmental concerns, such as climate change, soil depletion, contamination of waterways and oceans, depletion of ground water, atmospheric changes, and so on. Acknowledging that this section hearkens back to the way the ancients understood the world in terms of four classical elements (earth, water, sky, and fire), Bass says she wanted to show “how contemporary people are finding God in and with dirt, water, and sky—as the fire of the Spirit illuminates the way throughout. This is the spiritual revolution” (p. 125). It reflects the changing questions and theological concerns modern people are voicing about the natural habitat in which we live. The second section of Grounded focuses on the people aspect of our lives, what Bass terms simply “Human Geography. “ The four chapters here, just as those in the first section, are each given single word titles (“Roots,” “Home,” “Neighborhood,” and “Commons”). The “Neighborhood” chapter, with its biblical question of “who is my neighbor?” and the admonition to love our neighbor as ourselves, is especially timely in a divided world so eager to build fences and walls. Readers may also find themselves taking a fresh look at their local neighborhoods as “ecosystems of relationships between people, a shared experience of the natural world we inhabit, and the ways we care for each other and the land” (p. 197). The neighborhood chapter leads naturally into a chapter called “Commons” and helps us see God-with-us in our shared experiences as human beings, developing empathy and compassion through seeing ourselves in the “other” in a way that can dissolve boundaries. Bass talks about cultivating a spirit of unity that can at times draw us together in a deep shared ecstasy as part of group, even with a large crowd. (She uses, as examples, the magical moments of bonding that sometimes occur during a sporting event or in the countdown welcoming the New Year on Times Square.) A spiritual sense of meeting each other in “the commons” can be occasions that lift us above and beyond our separateness, blending our spirits in mutual experiences of joy, or awe, or shared tears and acts of compassion in times of tragedy. Readers who associate Diana Butler Bass with helping local churches to thrive may be surprised by Grounded’s emphasis on personal spiritual experience that is not dependent on church membership and participation. In an interview on MSNBC’s “Just Faith” program (Nov. 6, 2015), host Rev. Jacqui Lewis asked if Bass had “had a conversion,” pointing out that readers who knew her from her previous writings might wonder if this is the same Diana! I find myself both agreeing and disagreeing about how much change in Bass’s own spiritual journey readers might perceive in her new book. I was aware of the importance she has long placed on a close and direct relationship with God. (Nothing new there.) And I remember first reading about her love of the medieval mystics in Strength for the Journey, so I was not surprised to see the recent tweet on her Twitter feed where she asks “What if our time isn’t the rise of the nones but the rise of the mystics?” (Nov, 13, 2015). I also recall my interview with her after the publication of her 2006 book, Christianity for the Rest of Us, where she talked enthusiastically about successful churches she was studying— strong, thriving mainline churches that stood out because of their congregational vitality, energized by their members’ theological reflection and intentional spiritual practices that fostered their hospitality and social justice activism. Even the value these churches placed on their rich church tradition was open-ended, with tradition appreciated but not considered “a finished act.” Knowing and experiencing God was an ongoing journey in the now. But by the time her 2012 book, Christianity after Religion, was published, she was aware of what polls on religious trends were beginning to show; and she was increasingly troubled by the fact that vibrant churches, such as those she had studied, were all too few. “It began to appear that vital churches might well be only islands of success in the rising seas of Western unbelief, and the high tides of cultural change are leaving traditional religion adrift,” she had written. “All sorts of people—even mature, faithful Christians—are finding conventional religion increasingly less satisfying, are attending church less regularly, and are longing for new expressions of spiritual community” (Christianity after Religion, p. 15). But what I did not expect to find out from her latest book is that Bass herself is attending church less regularly. “Much to my surprise, church has become a spiritual, even theological struggle for me,” she confesses in Grounded. She is troubled by many of the hymns that are sung, sacraments that exclude others, and creeds and sermons and liturgies that promote an image of a three-tiered universe, a “hierarchical heavenly realm,” and a resistance to recognizing how people can and do encounter the God who is with us in the world outside the church walls. She says she (like many of us who have lived similar journeys) is not angry but heartbroken. “Heartbroken that the faith traditions that raised us and that we love seem to be sleeping through the revolution” (Grounded, pp. 23-24). At the same time, in the “Afterword,” she has words of assurance for those who are worried about the church: “The spiritual revolution does not destroy the church—unless, of course, the church ignores it, denies it, dismisses it, or pushes it away” (p. 284). “You do experience God there, as well as in nature and with your neighbor, but it’s not just solely there. And that’s what the revolution I’m writing about really comes down to. Yes, you can still find God in church. Absolutely. You would expect to. And if you don’t, there’s probably something wrong with the church” (Nov. 4, 2015, Huffington Post Live, video). Diana Butler Bass writes with the bold voice of a prophet. She knows that some will resist the revolution that she is observing and writing about; they may dismiss the book’s main point as dangerous, viewing it as an espousal of “cafeteria religion” or an expression of what some call the “Oprah church.” Some will find the ideas in Grounded far outside their comfort zone (and perhaps even beyond their comprehension). Some people who are heavily invested in traditional ideas about organized religion may find the book threatening. In the Introduction and elsewhere, she shows her awareness of all such critiques. But as I read Grounded, I couldn’t help but think back to a passage in her previous book where she had said, “Institutions resist prophets. Prophets question. They push for things to be different. They push people to behave better toward one another They want change” (Christianity after Religion, p. 89). In Grounded, she is indeed questioning and pushing “for things to be different.” This is a book that will cause you to think and question and see the changing religious landscape in a new way. It will help you see what a spiritual revolution— grounded in the knowledge that God is right here with us—can mean. And it can offer us hope in a world that desperately needs it. Read more about Diana Butler Bass on her personal website and on Twitter. Diana will be one of our featured speakers at next summer’s Christian Feminism Today Gathering in Indianapolis, June 23-26, 2016. See our conference announcement page for more information. See important FTC disclosure information here.